Want to explore Texas's endless miles of back roads and open highways? Or just need a reliable ride to work? Either way, we can help you buy a car, truck or motorcycle that will get the job done. 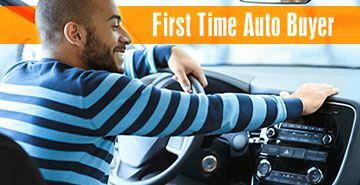 Get pre-approved for a loan, enjoy discounted rates and receive tips from our representatives on everything from choosing a vehicle, to comparing rebates and offers, to closing the deal. No speed bumps, no detours, no hassles. No kidding. It's the fast track to financing for a new or used vehicle. Low rates and flexible payment schedules put us miles ahead of the competition. There are four ways to lower your interest rate on car loans. Put them together, and it adds up to substantial savings. Now that you have a great vehicle, get some peace of mind as well. Breakdowns, accidents and illnesses happen, so it's best to be prepared. Guaranteed Asset Protection (GAP) covers the difference between your auto insurance settlement and your auto loan balance in the event that your car is stolen or damaged beyond repair. Mechanical Breakdown Protection provides coverage that serves as an extended warranty. Credit Life and Credit Disability policies will pay off your loan in the event something happens to you. *APR = Annual Percentage Rate. Some exclusions apply. Rates and terms are based on credit worthiness and are subject to change. Education First FCU is federally insured by the National Credit Union Association and an Equal Housing Lender.